The Cassini spacecraft peers through the fine, smoke-sized ice particles of Saturn's F ring toward the cratered face of Mimas. The F ring's core, which contains significantly larger particles, is dense enough to completely block the light from Mimas. 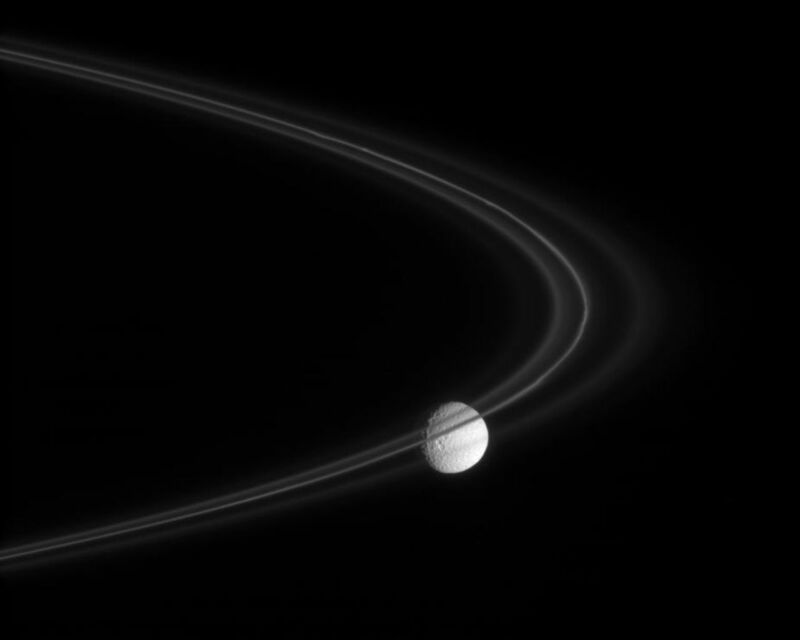 The view looks toward the trailing hemisphere on the Saturn-facing side of Mimas (397 kilometers, or 247 miles across), and toward the sunlit side of the rings from about 2 degrees below the ringplane. 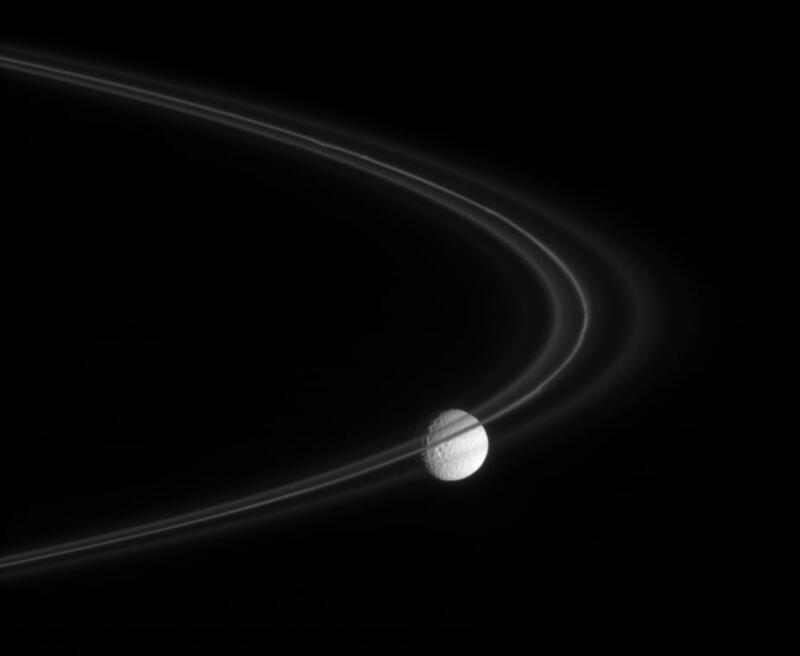 The image was taken in visible light with the Cassini spacecraft narrow-angle camera on Nov. 18, 2007. 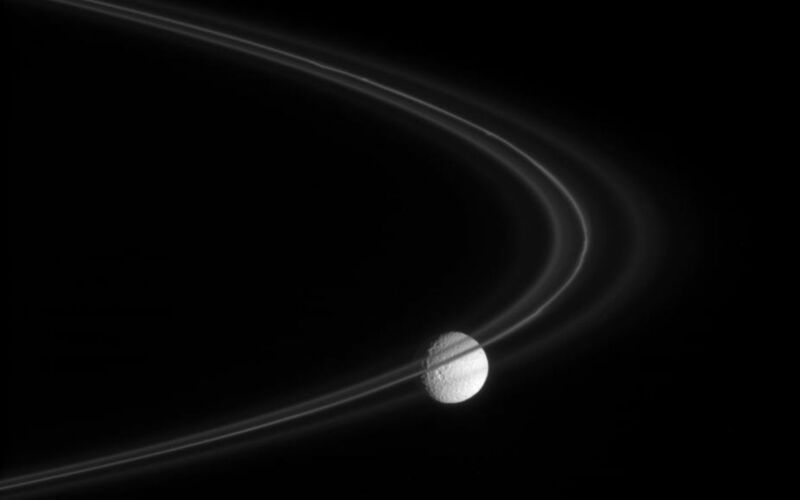 The view was acquired at a distance of approximately 772,000 kilometers (480,000 miles) from Mimas. Image scale is 5 kilometers (3 miles) per pixel on the moon.